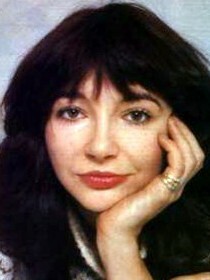 Kate Bush (born Catherine Bush 30 July 1958) is an English singer-songwriter, musician and record producer. Her eclectic musical style and idiosyncratic vocal style have made her one of the United Kingdom's most successful solo female performers of the past 30 years. Bush was signed by EMI at the age of 16 after being recommended by Pink Floyd's David Gilmour. In 1978, at age 19, she topped the UK Singles Chart for four weeks with her debut single "Wuthering Heights", becoming the first woman to have a UK number-one with a self-written song. She was also the most photographed woman in the United Kingdom that year. After her 1979 tour—the only concert tour of her career—Bush released the 1980 album Never for Ever, which made her the first British solo female artist to top the UK album charts and the first female artist ever to enter the album chart at No. 1. In 1987, she won a BRIT Award for Best British Female Solo Artist. 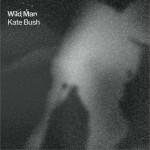 She has released nine albums, three of which topped the UK Albums Chart, and has had twenty-five UK Top 40 hit singles including "Wuthering Heights", "Running Up That Hill", "King of the Mountain", "Babooshka", "The Man with the Child in His Eyes" and "Don't Give Up" (a duet with Peter Gabriel)—all of which reached the Top 10. In 2002, Bush's songwriting ability was recognised with an Ivor Novello Award for Outstanding Contribution to British Music. In 2005, she released Aerial, her first album in 12 years. The album earned her a BRIT Award nomination for Best Album and another for Best Solo Female Artist. During the course of her career, she has also been nominated for three Grammy Awards. 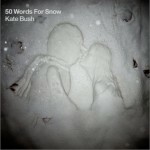 In early 2011, EMI Records also announced an upcoming re-issue of four of Bush's albums (The Dreaming, Hounds of Love, The Sensual World and The Red Shoes), now that Bush has regained full control over these records. 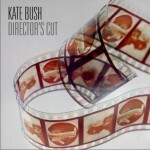 Bush is scheduled to release Director's Cut on 16 May 2011, which will contain altered material from her albums The Sensual World (1989) and The Red Shoes (1993). As of March 2011, Bush was working on an album of new material.